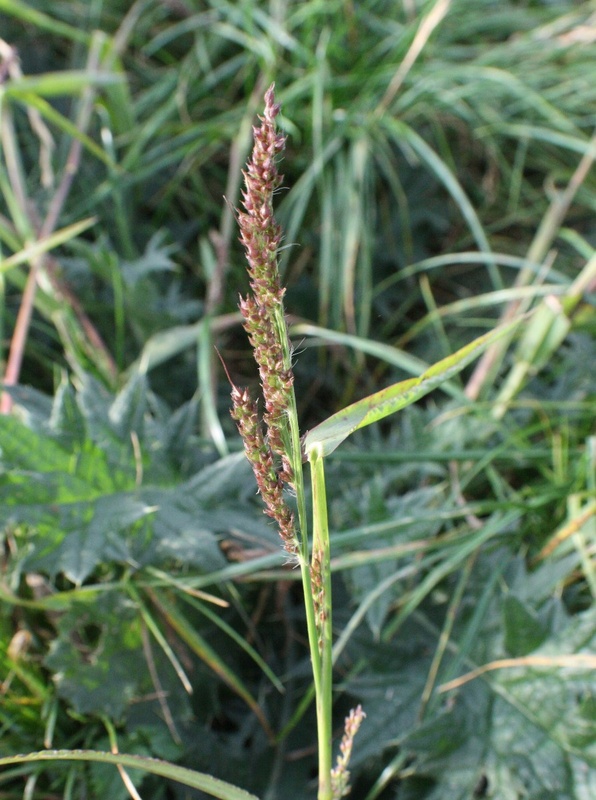 This plant can grow to a metre or more in height and has long, flat leaves which are often purplish at the base. Most stems are upright, but some will spread out over the ground. 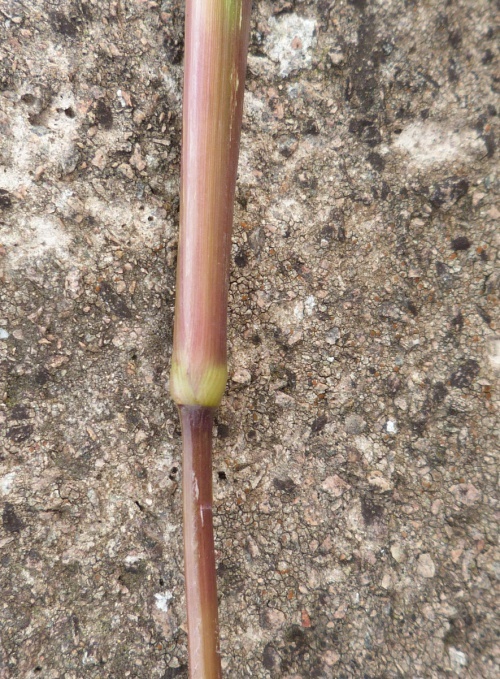 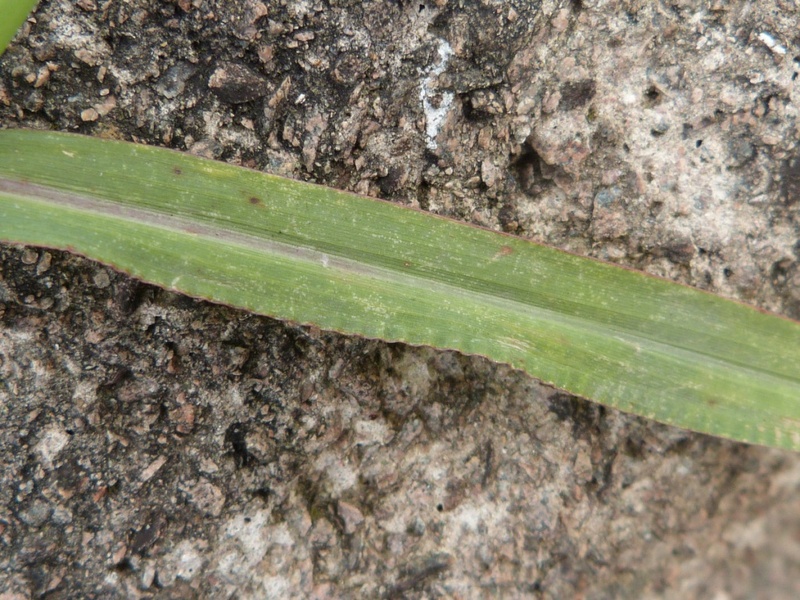 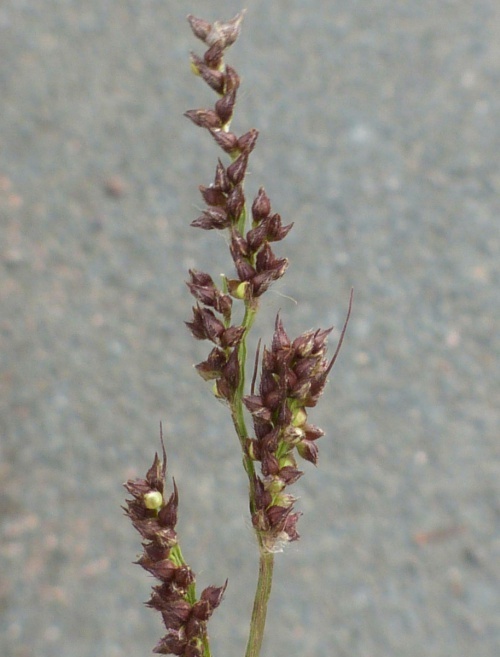 Stems are flattened at the base. 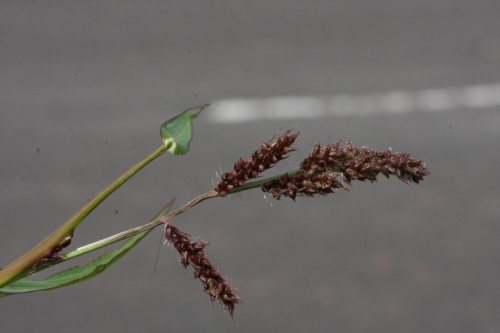 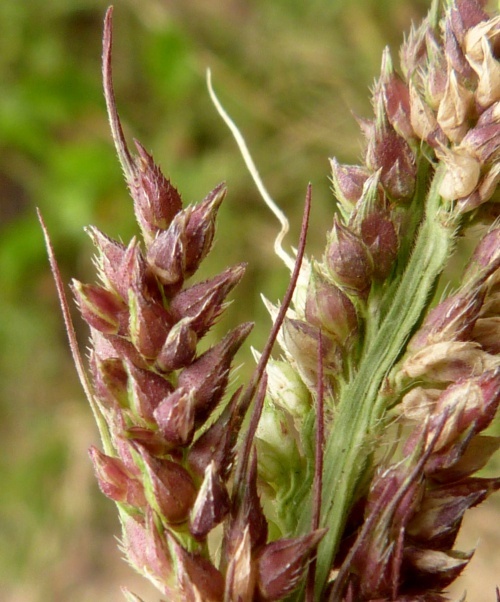 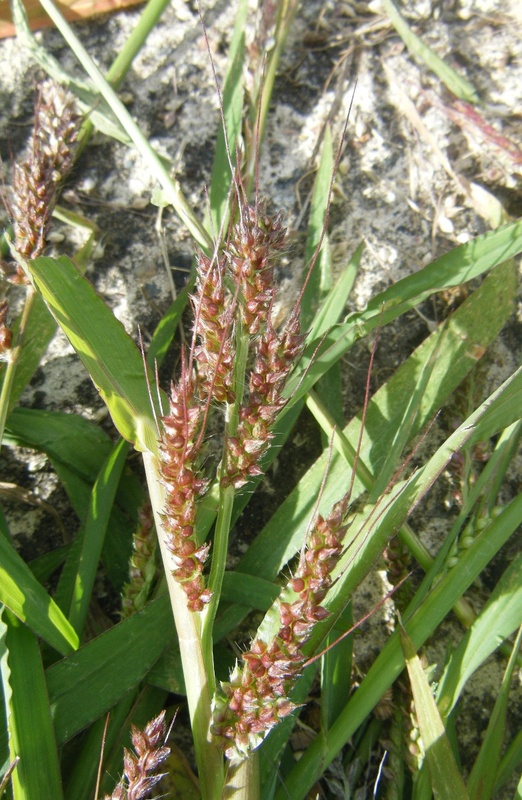 The seed heads are a distinctive feature, often purplish, with large millet-like seeds. 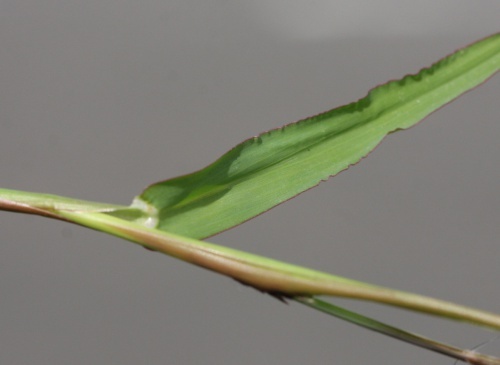 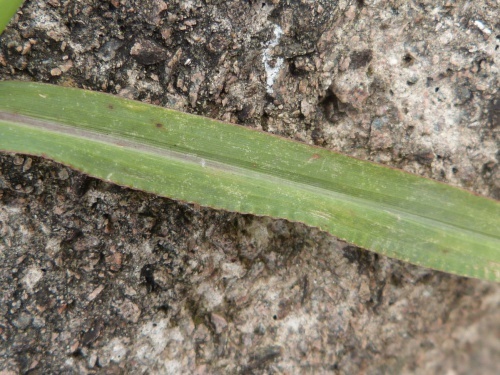 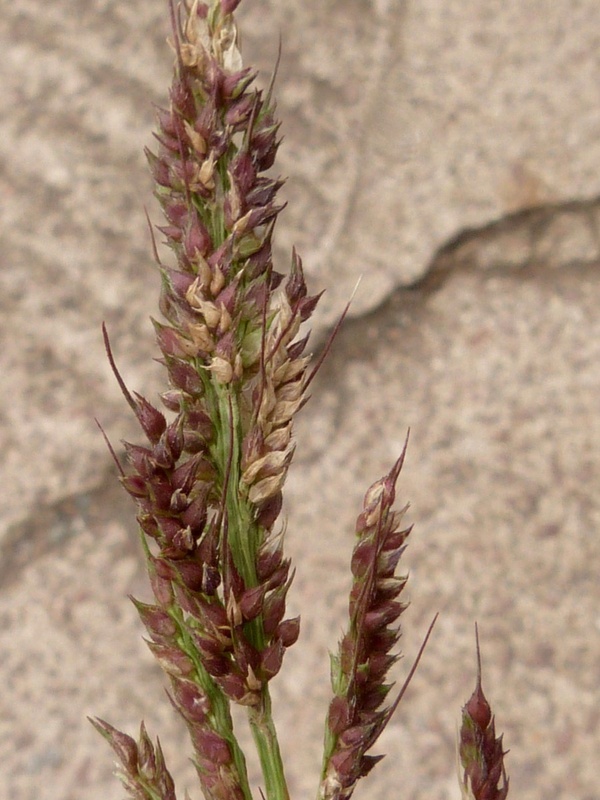 The individual spikelets are 3 to 4 mm long and borne along one side of the panicle branches. 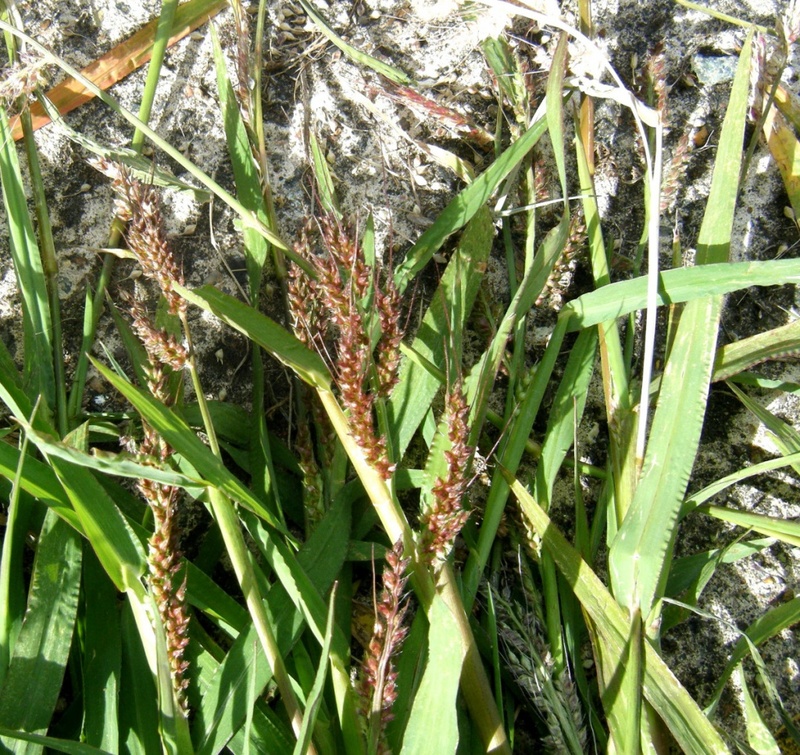 The plant has long curving awns to 5 cm which give rise to the common name. 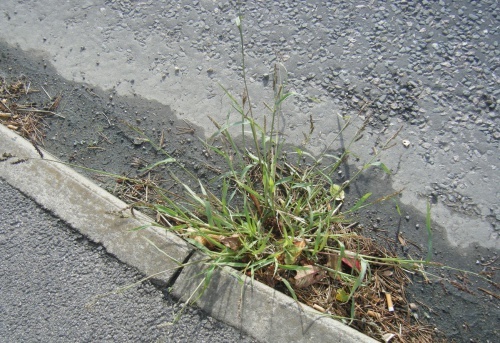 Waste places, rubbish tips, often near habitation. An accidentally introduced species that has become widespread if occasional in Britain, being more common in the south. 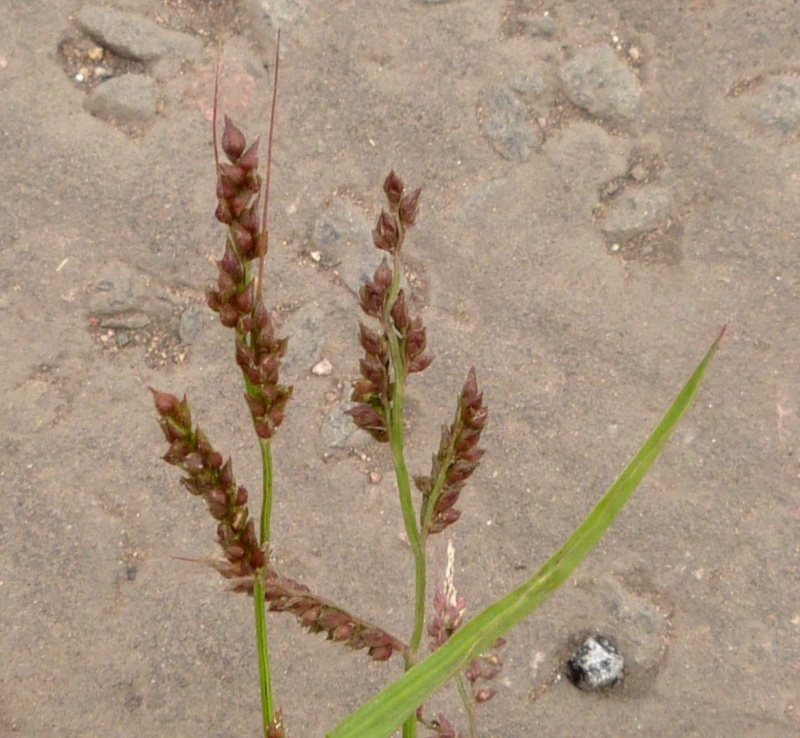 Infrequent in Leicestershire and Rutland. 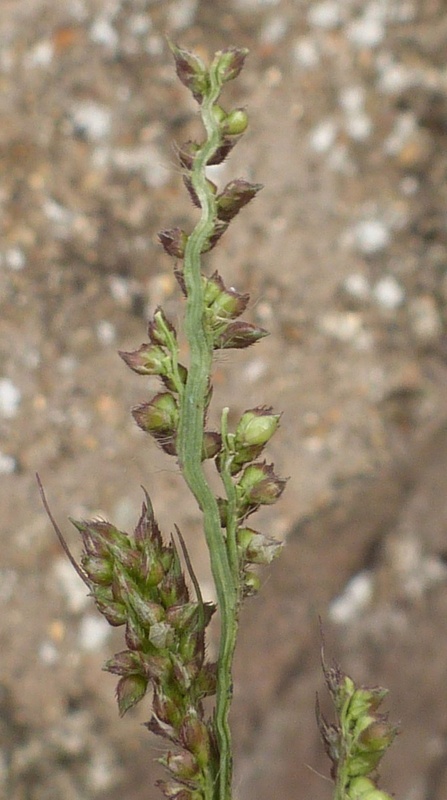 In the 1979 Flora survey of Leicestershire it was found in 2 of the 617 tetrads.